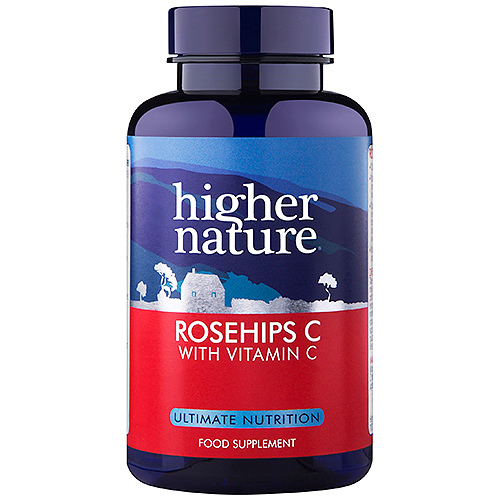 Rosehips C offers 1000mg of Vitamin C per tablet and with extra Rosehips, a natural source of Vitamin C, to help ensure your body gets the right level and quality of Vitamin C it requires. Rosehips are particularly high in Vitamin C, with about 1700-2000 mg per 100 g in the dried product, one of the richest plant sources available. It also contains Vitamins A, D and E as well as antioxidant flavonoids. Vitamin C (as ascorbic acid), rosehips powder, emulsifier: sodium carboxymethyl cellulose; anti-caking agent: magnesium stearate*; coating: hydroxypropyl methylcellulose (glycerine)*. Take 1-3 tablets a day, with meals, or as your health professional advises. 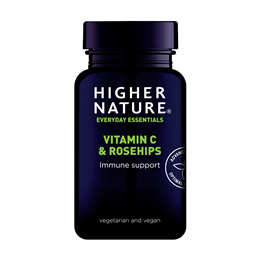 Below are reviews of Rosehips C with Vitamin C - 180 Tablets by bodykind customers. If you have tried this product we'd love to hear what you think so please leave a review.